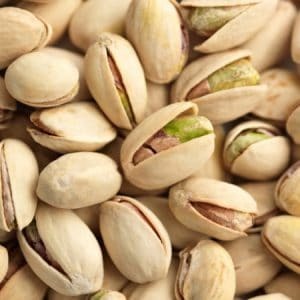 Going Nuts on a Ketogenic Diet? Home / General / Food / Going Nuts on a Ketogenic Diet? Nuts are a great source of unsaturated fatty acids, fiber, vitamins, minerals, phenolic antioxidants and phytosterols. Nut consumption has been shown to reduce the risk of various diseases. Each type of nut provides unique benefits, and certain nuts are more keto-friendly than others. Make sure to monitor your nut intake so that you do not accidentally consume excess carbohydrates and/or calories. Consuming a higher amount of fat is important on a ketogenic diet, and getting a variety of different fats is recommended. I often get asked about potential snacks that someone can consume on the go. 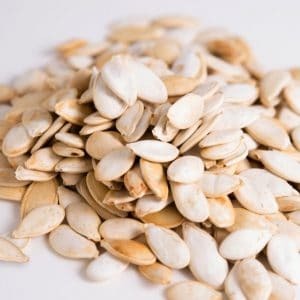 As a source of primarily unsaturated (polyunsaturated and monounsaturated) fats, nuts and seeds can be a great choice to include in your daily menu. Nuts are nutrient-dense foods that are rich in unsaturated fatty acids (particularly omega-3 fatty acids), fiber, vitamins, minerals, and many other bioactive substances, such as phenolic antioxidants and phytosterols. A large number of observational and intervention studies on nut consumption have shown reductions in various mediators of chronic diseases, including oxidative stress, inflammation, visceral adiposity, hyperglycemia, insulin resistance, and endothelial dysfunction. In prospective cohort studies, increased nut intake has been associated with a reduced risk of cardiovascular disease, type 2 diabetes mellitus, metabolic syndrome, colon cancer, hypertension, gallstone disease, diverticulitis, and death from inflammatory diseases. Overall, nuts and seeds are great foods to promote overall health and well-being in both the short and long-term! Not all nuts and seeds are created equal. 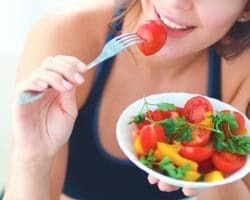 Although all of them tend to be a high-fat source with low to moderate protein and carbohydrates, each contains a different nutritional profile. Additionally, each contains a unique blend of compounds, vitamins, minerals, etc. 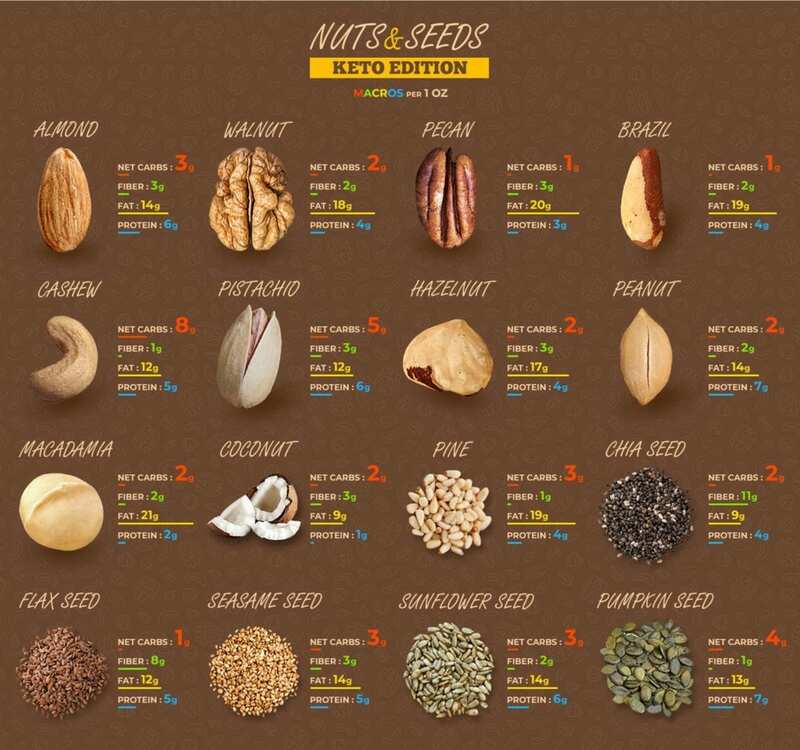 Below, I have listed a few of the nuts and seeds you may want to emphasize while on a ketogenic diet, and some that you may want to eat less often. Great source of magnesium and potassium, which are important electrolytes to replenish on a ketogenic diet! It should be clarified that these nuts should not necessarily be excluded completely. However, it might be better if they are included less frequently due to their nutrient profiles. 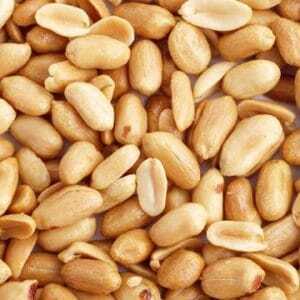 Technically not a nut or seed, peanuts are actually legumes. Contain very minute levels of omega-3 fatty acids, and are dominated by omega-6 fatty acids (which may promote inflammation). 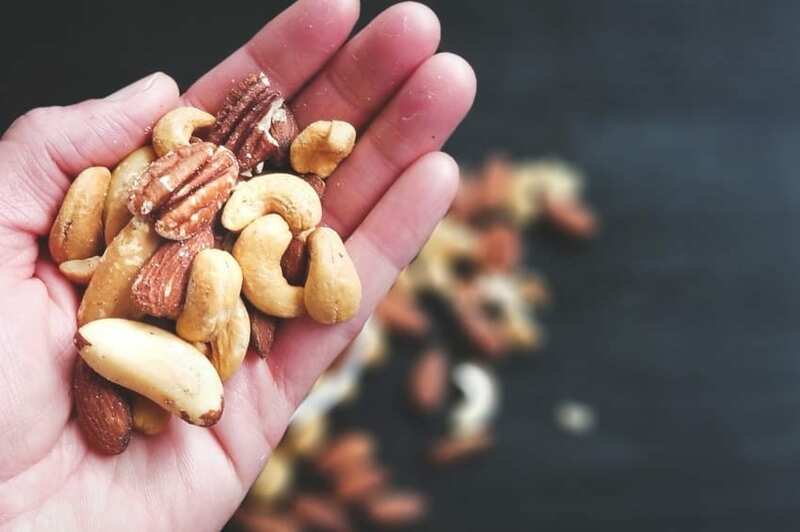 While nuts and seeds can be great sources of nutrients and energy in the form of fat, it is important to monitor your portion sizes so that you don’t go overboard with eating nuts. We can all probably think of a time when we have sat down and started to eat some of our favorite nuts or seeds. Whether you couldn’t stop because you were enjoying them so much, or you were just not eating mindfully, the next thing you knew, that whole bag or serving platter of nuts was gone. Thus, while nuts and seeds are great to include on a ketogenic diet, it probably would be wise to limit your portions to a serving or two (1–2 oz.) per day. 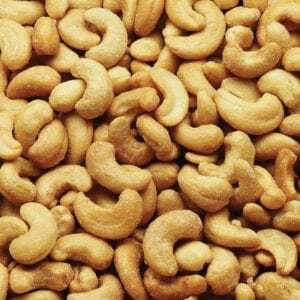 An ounce of nuts is about the size of a small handful. 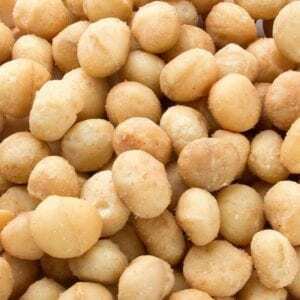 If you want to be even more precise, a serving size is close to: 24 almonds, 18 medium cashews, 12 hazelnuts or filberts, 8 medium Brazil nuts, 12 macadamia nuts, 35 peanuts, 15 pecan halves or 14 English walnut halves. 1. Bao, Y., Han, J., Hu, F. B., Giovannucci, E. L., Stampfer, M. J., Willett, W. C., & Fuchs, C. S. (2013). Association of nut consumption with total and cause-specific mortality. New England Journal of Medicine, 369(21), 2001-2011. 2. Torabian, S., Haddad, E., Rajaram, S., Banta, J., & Sabate, J. (2009). Acute effect of nut consumption on plasma total polyphenols, antioxidant capacity and lipid peroxidation. Journal of human nutrition and dietetics, 22(1), 64-71. 3. Jiang, R., Jacobs Jr, D. R., Mayer-Davis, E., Szklo, M., Herrington, D., Jenny, N. S., … & Barr, R. G. (2005). Nut and seed consumption and inflammatory markers in the multi-ethnic study of atherosclerosis. American Journal of Epidemiology, 163(3), 222-231. 4. O’Neil, C. E., Keast, D. R., Nicklas, T. A., & Fulgoni III, V. L. (2011). Nut consumption is associated with decreased health risk factors for cardiovascular disease and metabolic syndrome in US adults: NHANES 1999–2004. Journal of the American College of Nutrition, 30(6), 502-510. 5. Jenkins, D. J., Kendall, C. W., Banach, M. S., Srichaikul, K., Vidgen, E., Mitchell, S., … & Ireland, C. (2011). Nuts as a replacement for carbohydrates in the diabetic diet. Diabetes care, DC_110338. 6. Casas-Agustench, P., López-Uriarte, P., Bulló, M., Ros, E., Cabré-Vila, J. J., & Salas-Salvadó, J. (2011). Effects of one serving of mixed nuts on serum lipids, insulin resistance and inflammatory markers in patients with the metabolic syndrome. Nutrition, metabolism and cardiovascular diseases, 21(2), 126-135. 7. Ma, Y., Njike, V. Y., Millet, J., Dutta, S., Doughty, K., Treu, J. A., & Katz, D. L. (2009). 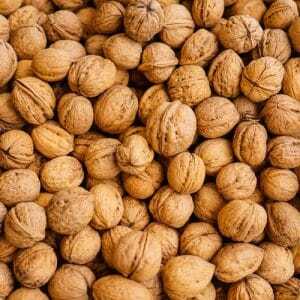 Effects of walnut consumption on endothelial function in type 2 diabetics: A randomized, controlled, cross-over trial. Diabetes care. 8. Sabaté, J., Oda, K., & Ros, E. (2010). Nut consumption and blood lipid levels: a pooled analysis of 25 intervention trials. Archives of internal medicine, 170(9), 821-827. 9. Jiang, R., Manson, J. E., Stampfer, M. J., Liu, S., Willett, W. C., & Hu, F. B. (2002). Nut and peanut butter consumption and risk of type 2 diabetes in women. Jama, 288(20), 2554-2560. 10. Pan, A., Sun, Q., Manson, J. E., Willett, W. C., & Hu, F. B. (2013). Walnut Consumption Is Associated with Lower Risk of Type 2 Diabetes in Women1, 2. The Journal of nutrition, 143(4), 512-518. 11. Montero, A. F., Bes-rastrollo, M., Beunza, J., Barrio, M., de la Fuente Arrillaga, C., & González, M. M. (2011). nut consumption and incidence of the metabolic syndrome after 6 year follow-up: the Sun Cohort: 27/1065. Nutrition in the Prevention of Non-communicable Diseases. Annals of Nutrition and Metabolism, 58, 391. 12. Singh, P. N., & Fraser, G. E. (1998). Dietary risk factors for colon cancer in a low-risk population. American journal of epidemiology, 148(8), 761-774. 13. Djoussé, L., Rudich, T., & Gaziano, J. M. (2009). Nut consumption and risk of hypertension in US male physicians. Clinical Nutrition, 28(1), 10-14. 14. Tsai, C. J., Leitzmann, M. F., Hu, F. B., Willett, W. C., & Giovannucci, E. L. (2004). A prospective cohort study of nut consumption and the risk of gallstone disease in men. American Journal of epidemiology, 160(10), 961-968. 15. Strate LL. Nut, Corn, and Popcorn Consumption and the Incidence of Diverticular Disease. J. 2008;300(8):907. 16. Gopinath, B., Buyken, A. E., Flood, V. M., Empson, M., Rochtchina, E., & Mitchell, P. (2011). Consumption of polyunsaturated fatty acids, fish, and nuts and risk of inflammatory disease mortality–. The American journal of clinical nutrition, 93(5), 1073-1079. 17. Nwaru, B. I., Hickstein, L., Panesar, S. S., Roberts, G., Muraro, A., Sheikh, A., & EAACI Food Allergy and Anaphylaxis Guidelines Group. (2014). Prevalence of common food allergies in Europe: a systematic review and meta‐analysis. Allergy, 69(8), 992-1007. 18. USDA Food Composition Databases. United States Department of Agriculture. https://ndb.nal.usda.gov/ndb/errors/error?code=error.notfound.message. 19. Almonds. The World’s Healthiest Foods. http://www.whfoods.com/genpage.php?tname=foodspice&dbid=20. 20. Walnuts. The World’s Healthiest Foods. http://www.whfoods.com/genpage.php?tname=foodspice&dbid=99. 21. Yang, J. (2009). 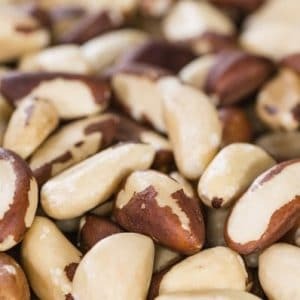 Brazil nuts and associated health benefits: A review. LWT-Food Science and Technology, 42(10), 1573-1580. Great article. 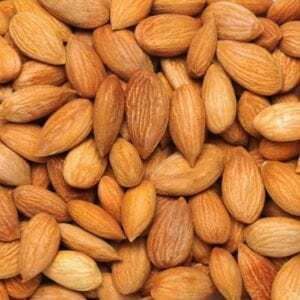 Absolutely love almonds and good to keep in mind the benefits, but also regulation!